‘New Year, new me’ I think that’s how the saying goes. We all like to turn over a new leaf at this time and attack a new calendar year with a different approach and with focus and determination; be it to lose weight, save up some money for something or to find a new job. This can be a life-changing, watershed moment, or it can all collapse over a box of Milk Tray and some internet shopping after a rough day at work. For us at the Old Peacock, obviously we’re not big advocates of Dry January or anything like that, but we appreciate people like to make a considered lifestyle choice every now and again, and if you have abstained from alcohol for the past 31 days since New Year, then well done and welcome back, we’ve kept the place ticking over nicely for you. In terms of Leeds United, I guess the saying is ‘New Year, same old Leeds’. It’s fair to say that 2018 has been an unqualified disaster so far; a trail of destruction you can trace back to Boxing Day. We have yet to win since the clock ticked over into the new year, and on the way we have been knocked out of the FA Cup at the first hurdle by League Two Newport County, lost the mercurial Samuel Saiz to suspension for six games, had three other players sent off, conceded four goals at home to both Millwall and Cardiff City, released a new badge in a complete and utter PR disaster and then hastily un-released it and then finally we have sacked our manager Thomas Christiansen. Unfortunately he was clearly out of his depth and has had to endure an unbelievable run of bad luck with injuries and suspensions, but things were clearly not working out and he leaves with everyone’s best wishes. By the time you are reading this we may have the latest incumbent already in the Leeds United hot seat, but certainly we would like it to be someone with a higher profile, more of a personality and some real credentials for being able to achieve what we all want to achieve. We’ve been lucky with a couple of Saturday 3pm Kick-Offs over the last few weeks, and despite the on-pitch woes the visits of Millwall and Cardiff City still attracted crowds of over 30,000 on both occasions. The remainder of February sees us take on Bristol City at Elland Road at the pretty inhospitable time of 4.30pm on a Sunday afternoon, while our only other home fixture is on Saturday 24th when we welcome Brentford to LS11. Throughout all the troubles of the recent weeks, pretty much the only consistency you can find is in the pre-match atmosphere at the Old Peacock. The band plays on whatever the weather and we all have a good time; win, lose or draw. Whatever life throws at you as a Leeds United fan, you can be sure of one thing; a warm welcome and a great time at the Peacock, and we will be extending that famous welcome to fans of the oval ball this week as Leeds Rhinos come to Elland Road. The Rhinos have been a great ambassador for the city of Leeds over the last few years, not just winning everything in sight, but also doing it in the right spirit and showing unbelievable powers of mental strength and being able to overcome adversity. They really are a sporting institution with some special ingredients over there at Headingley, and as the famous ground gets re-built with two new stands taking shape over the winter months, we are more than happy to welcome them to Elland Road for a couple of ‘home’ games this month and next. 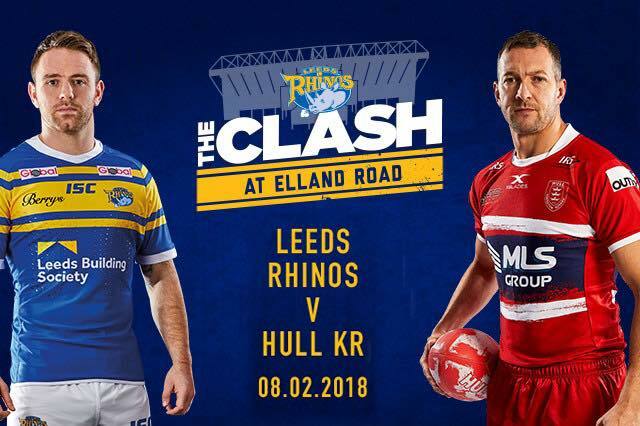 Thursday February 8th sees Danny McGuire make a swift return to the city as he brings his new Hull Kingston Rovers teammates to Elland Road, while March 23rd sees the Castleford Tigers attempt to avenge that amazing Grand Final defeat to the Rhinos last October. For both occasions we are expecting big crowds and we are setting up just like a normal Leeds United matchday, with our usual matchday food menu, all our bars open and our resident live band The Snapp ready to get your foot tapping and keep you warm in the beer garden. 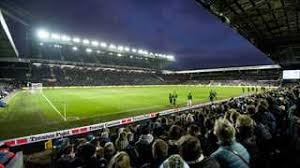 Of course, the two Leeds Rhinos home games are not the only out of the ordinary events being lined up for Elland Road in the coming months, and it looks like we will be having a busy summer at the end of the regular football season. As soon as Leeds United play their last home game on May 6th (Play-Offs permitting………….) the ground will be transformed into a Boxing venue, ready for the IBF World Featherweight title fight between Lee Selby and Leeds’ own Josh Warrington on Saturday May 19th. This might just be an occasion more rowdy than a Leeds United home game and will certain be a special night for Leeds as a city. During major international football tournaments the pub is always well attended, particularly when England are playing. We like to push the boat out for the home nations and the month-long tournament in June and July is always something to look forward to, with every game shown live in the pub, this year from Russia. Imagine our delight though when Elland Road was chosen to stage England’s final warm-up game before the World Cup? In a major coup for Leeds and Leeds United, England will face Costa Rica at Elland Road on Thursday June 7th at 8.00pm. We will certainly be putting the red carpet out on this occasion and hopefully the summer climate will be kind to us and the beer garden will come into its own. We’ll be announcing more details about these special occasions in the coming months, but it’s certainly an exciting time at the Old Peacock with plenty to look forward to. New Year, new me I suppose you could say, and we certainly like this new version of the multi-talented, all-welcoming Old Peacock.